Holiday Market and Open Studio! 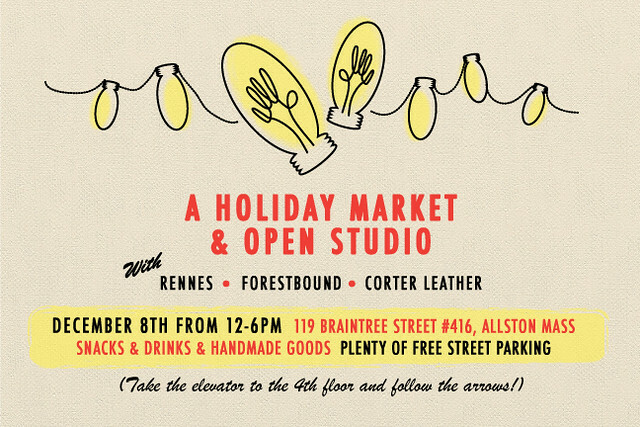 Please come to our open studio & holiday party on Saturday December 8th from 12-6! Snacks and drinks will be served! There will be fun things to buy! Hope to see you there! !